Carol Schumacher was called to midwifery after the two natural births of her children, Sarah in 1974 and Christopher in 1975. After raising her children she fulfilled her dream of becoming a midwife in 1998 when she graduated from a two-year midwifery program in Utah. She became a Certified Professional Midwife in 2001 and is licensed by the State of Texas. 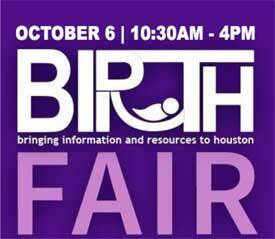 Carol has an evidence-based homebirth practice in Houston. She believes educating her clients and offering them informed choice empowers women and provides them with safe, quality midwifery care. Anyone interested in taking NRP later in the month? Those who took from Karen Strange two years ago are certified through 01/31/17. If I can get 3 other people Kristin Becker (she is doing the NRP classes this weekend at West Houston Birth Center) will teach another class later in the month. Thanks Camellia and Kim. Buying from esutures! Does anyone have a great place to buy Vicryl 3-0 CT1 and SH sutures. They are over $10 each on Jack’s website. Anyone interested in going in on a box of 12? I can’t get to the page to read the bylaws so I am not able to move forward with renewal. I was able to “fix” the first problem, but not the others. NFP offers a course on fertility awareness while breastfeeding. I have not seen the material or had any clients go through it, but it’s another option. That makes perfect sense! Thanks, Cathy! I’ll bring a bag of pre-washed greens. Looking forward to the meeting. Is there a reason you want a pot luck? Seems like a lot of extra time spent to make the salads, and serve, when normally everyone just brings their lunch.